Pop! With a burst of fat, the bacon sizzles in the pan and the house fills with the mouth-watering aroma of frying pig meat. A sting burns your arm, and you glance down to see a red spot forming, but you barely feel the pain. Moving mechanically, you push the bacon with the fork, scraping the tines across the bottom of the no-stick-but-you-totally-have-to-use-Pam-otherwise-it’ll-stick pan. Another bubble of fat pops and sprays your arm. You sigh. With a yawn and scuffle of feet, he walks in. His hand grazes your bottom through the thin satin pyjamas; just like with the fat, you barely feel it. It is not lecherous, though you don’t doubt that his intent is. To you, it is little more than an irritating flutter, like a moth circling a flame. You look up at him and it is as if you are seeing him for the very first time. Seeing clearly, like the fog lifting off the bay on a late fall morning. Looking him in the eye, you say, “Get bent, Steve,” and smash the frying pan into the side of his head, sending the contents spraying across the room. With a happy sigh drowned out by his screams, you turn, pick up your mug of steaming coffee, and go to sit on the porch. This week’s prompt, frying pan, ended up being a multipart story completely by crazy random happenstance! Read the next part in the saga of the narrator and Steve here! Wonderful Part One of a story! Love it! 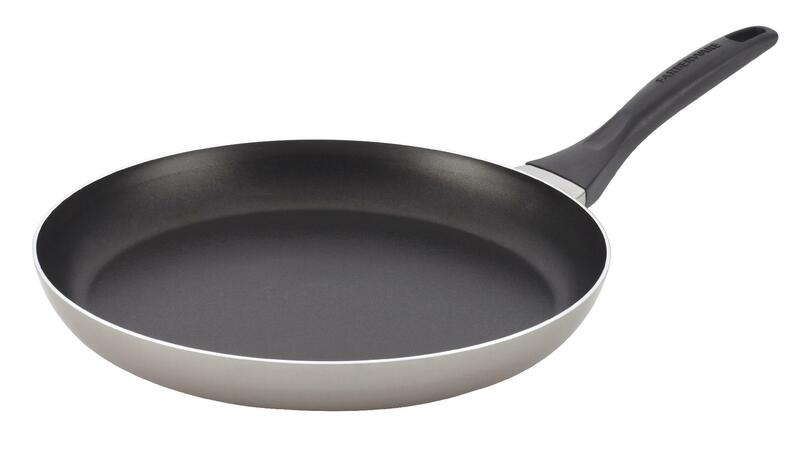 Apparently frying pans make us all homicidal!